When you buy a ski property in Les 2 Alpes it is also access to 1 snow park, 96 pistes, 200kms of pistes and of course direct access to one of the highest ski areas in the world. Another peculiarity of the 2 Alpes: its location on a kind of plateau, which offers an avenue of 2 kilometres with shops, bars, restaurants … We wander on foot, carriage, free bus or segway! 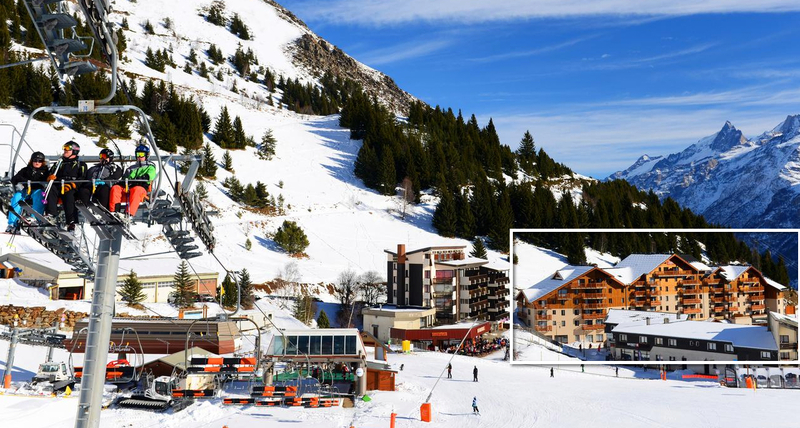 Last strong point of Les 2 Alpes: most of the properties provide direct access to the ski slopes and lifts. It is a ski-in ski-out ski resort. The ski area Les 2 Alpes is a paradise for skiing: 430 hectares of marked trails, from 1300 m to 3600 m and because 2 sensations are better than one, you have the choice between Les 2 Alpes Freestyle around the snowpark and Les 2 Alpes Freeride in the great off-piste areas, the most famous of which is the Vallons de la Meije. Attention, the access to La Grave via Les 2 Alpes is now paying and open every day from 10:00 to 13:00. The connection by track is done from the opening of the Girose ski lift mid January according to the snow conditions. Beginners and mid-level skiers will probably prefer to survey the sunny slopes of the western slope (Le Pied Moutet) that snake through the forest to the village of Mont de Lans. The most experienced skiers will take the direction of the opposite side of the ski area, on the slopes of the Dome of Lauze to 3568 meters above sea level. For about fifteen years, the snowpark of Les 2 Alpes continues to evolve to the point of becoming today a world reference (3 “Park bully”, a pipe magician, a Zaugg, a turbine, a daily maintenance of the modules and new handrails permanently). In addition to its renowned high-altitude snowpark in Europe, the 2 Alpes resort also offers a boardercross zone, slide zones for amateurs (canyons, cornices, waterfalls between 2900m and 2600m), freestyle initiation zones (on the Toura Lac Noir trail), a Bib Air Bag installed on the bottom of the slopes, not forgetting a Kids Park specially designed for children on the ridges at 2100 m. In addition, ski slopes very fun to ski differently, while having fun. Les 2 Alpes is like a real adventure playground where you can fly paragliding bi-square, browse the great snowshoeing on foot or discover the magical world of ice cave at 3400m altitude. And after an active day in the fresh air, relax, go for a massage session in one of the fitness centers. Give yourself moments of well-being at the Spa or a body care, face, a manicure in a beauty salon. Let yourself be tempted by a massage, a session of shiatsu or isolate yourself in a sensory bubble to find calm and serenity. Unless you prefer to stroll on the main street lined with pedestrian areas and shops for shopping (about 145 shops open all season …). At the 2 Alpes, as soon as the slopes close, the heart of the resort comes alive … Bars and pubs illuminate their signs to welcome happy hours … You will share a meal with family or friends in one the numerous establishments of the 2 Alpes resort: from fast food to themed cuisine to a gourmet or traditional restaurant, to eat on site, to deliver or to take away … it’s up to you!